Are You Thinking Of Migrating to Buffalo, New York, USA? 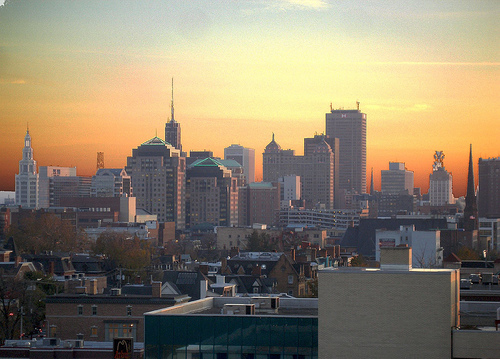 Buffalo is the second most populous city in the state of New York, after New York City. According to the 2010 Census, Buffalo has a population of 261,310 and the larger Buffalo–Niagara–Cattaraugus has 1,215,826 residents. Buffalo originated around 1789 as a trading community on Buffalo Creek, and began to grow quickly in 1825 after the opening of the Erie Canal. By the 20th century, Buffalo became a major shipping hub and grew to be the 8th largest city in the United States. In recent years, the region’s largest economic sectors, health care and education, continue to grow despite the lagging national and worldwide economies. This growth has been helped by major expansions to the Buffalo Niagara Medical Campus and Buffalo’s State University of New York. This makes Buffalo and ideal place for international students or medical professionals, the latter of whom can apply through the H-1B visa. Buffalo’s economy remains strong throughout the economic recession because of revenue from Canadian shoppers who cross the border to go shopping. In 2010, Forbes rated Buffalo the 10th best place to raise a family in America, in part because it’s low unemployment rate. Want An Assessment to Know If You Qualify to Migrate to Buffalo? Our immigration lawyers have the knowledge to let you know if you will qualify to immigrate to New York. Getting an assessment is easy, just contact us here and book an appointment that is convenient for you. We will ask you series of questions and will spend about 15-30 minutes in a virtual meeting to determine if this would be a good fit for you and your family. If you plan on migrating to Buffalo, NY, USA, then you’ll want an immigration lawyer who knows the ins and outs of American immigration. Our firm has offices throughout North America, but our corporate office is in Toronto. Even though our main office is not located in Buffalo, if you watch the video above you will quickly see we are able to help anyone in the world immigrate to Canada. Since the 1840s, Buffalo has commonly been referred to as “The Queen City”, because of the city’s status as the second largest city in New York State after New York City. In the early 20th century, the city began calling itself the “City of Light”, because it was the first American city to have electric street lights. Buffalo has also been called “The City of Good Neighbors”, because of the helpful and friendly spirit of its inhabitants. In fact, in 2001, USA Today declared Buffalo the winner of its “City with a Heart” contest, proclaiming it the nation’s friendliest city. When you work with our immigration law firm we make sure we provide you with all the resources you’ll need to settle properly in your new country. If you are interested in immigrating to Buffalo, be sure to contact our law firm to get an assessment of your case with one of our immigration experts.